I have been enjoying roasted garlic for years but only heard of the suggestion to try adding balsamic vinegar for a more festive flavour today, so of course I immediately had to try it! If you haven’t had roasted garlic before, you haven’t lived! It is mellow, creamy, buttery, nutty and simply superb. Nothing like plain garlic whatsoever. It won’t give you garlic breath and doesn’t have a biting flavour. Roasted garlic is delicious on it’s own straight from the roasted bulb, on a slice of baguette or toast, with pasta or couscous, in mashed potatoes… the list is endless. On the topic of mashed potatoes, Julia Child made her famous mashed potatoes by adding roasted garlic. She made the roasted garlic on the stove in a tiny pot with the garlic covered in whipped cream instead of olive oil and cooking for approximately an hour until the same creamy consistency we will be mimicking in the recipe below. When I feel like I have nothing to eat in the house, I cook up one of the options I just listed, add some roasted garlic and nothing else is needed to create a tasty little snack. Cut the top tip off a whole bulb of garlic. Don’t worry if some of the outer skin falls off, as long as the skin of each individual clove remains. 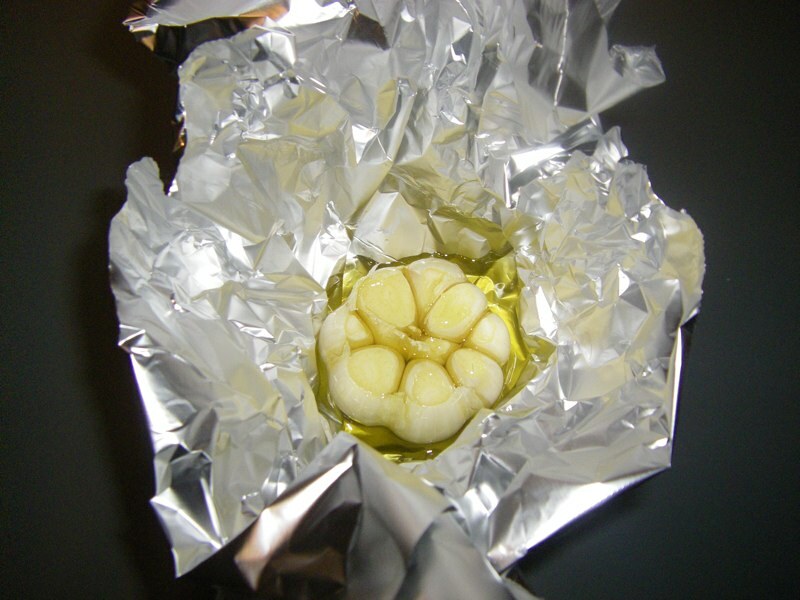 Make a tall tinfoil bowl just large enough for the garlic bulb to sit in. 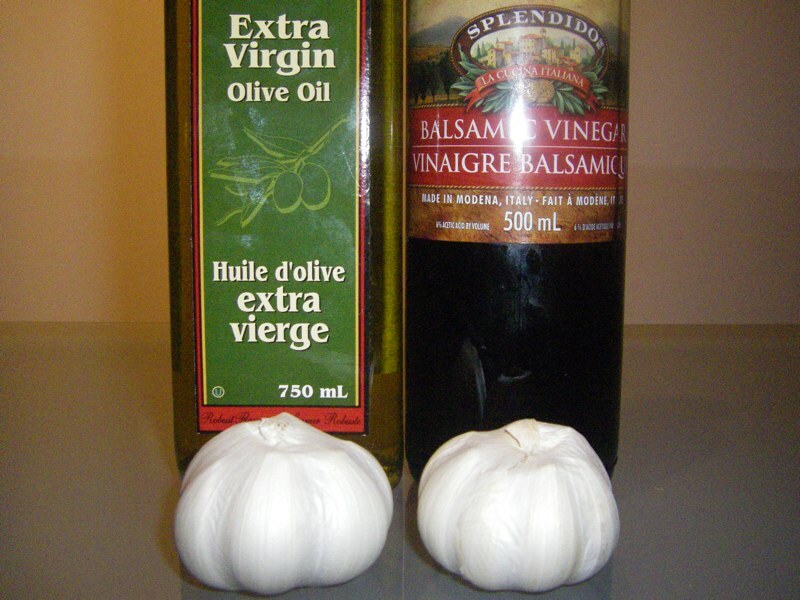 Pour olive oil over the entire garlic bulb. It is very important for the whole bulb to be completely covered in oil. 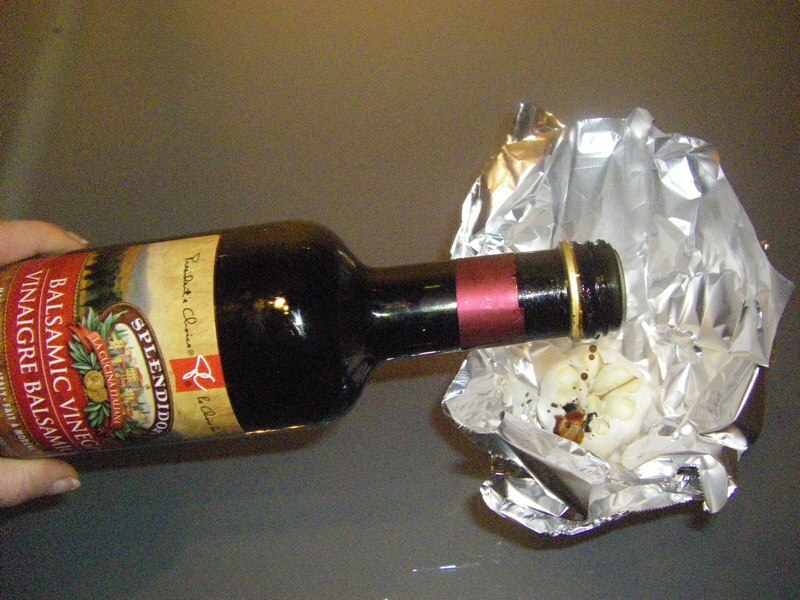 For extra zip, start with a spoon of balsamic vinegar over the bulb, then coat completely with olive oil. Today I made one of each, regular and balsamic. 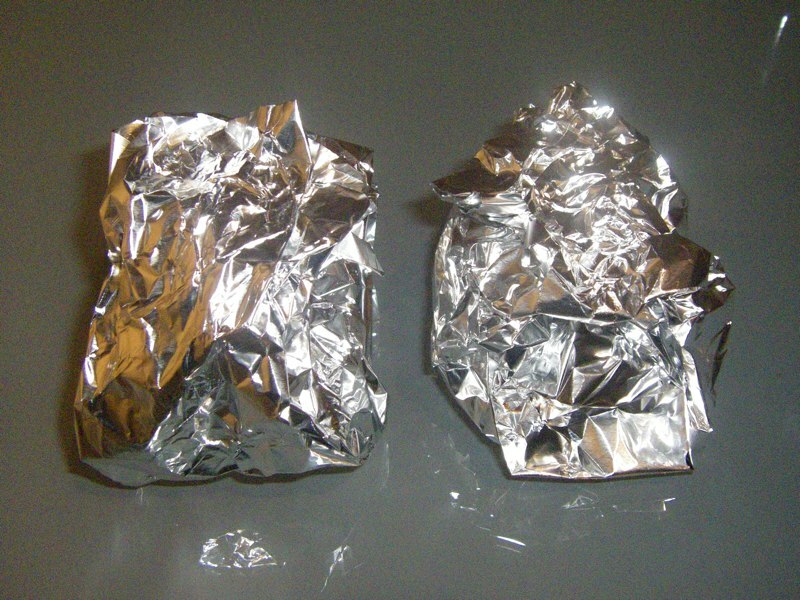 Fold your tinfoil bowls at the top so they are completely sealed. Bake in the oven at 375 degrees for one hour. You do not want any chance of the oil leaking in your stove, so you may wish to place your tinfoil packets on a baking tray, or cook them on the rack above where you are cooking a different item. 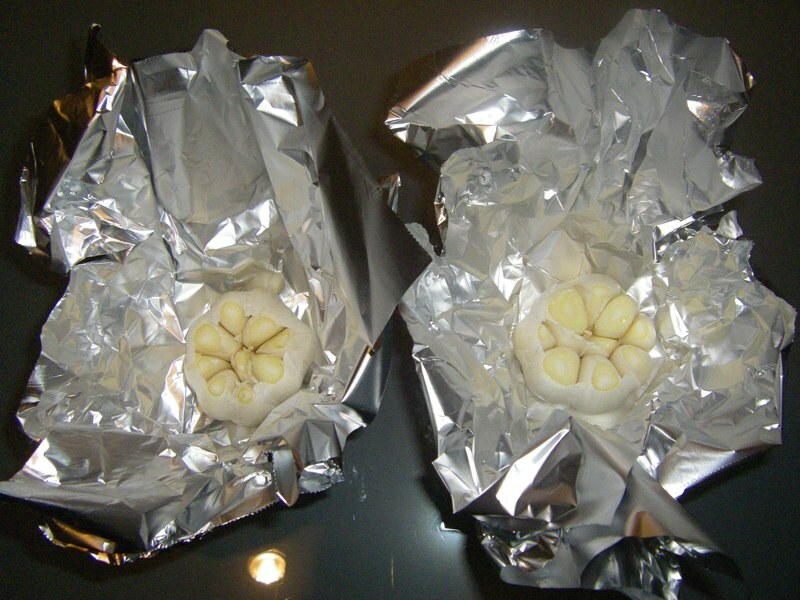 Try to bake your roasted garlic when you are cooking something else and your oven is already on since they are so small! 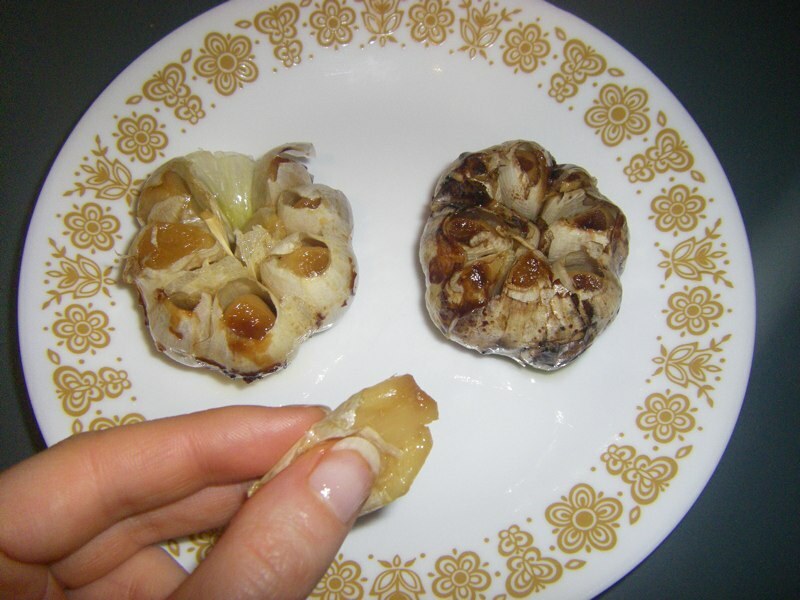 Both the regular roasted garlic and balsamic roasted garlic are delightful! To use, simply snap out one of the cloves with the skin intact, then squeeze the bottom tip of the skin to allow the creamy garlic to pop out the top! Eat as is, straight from the skin or spread onto toast, stir into mashed potatoes… you get the idea! 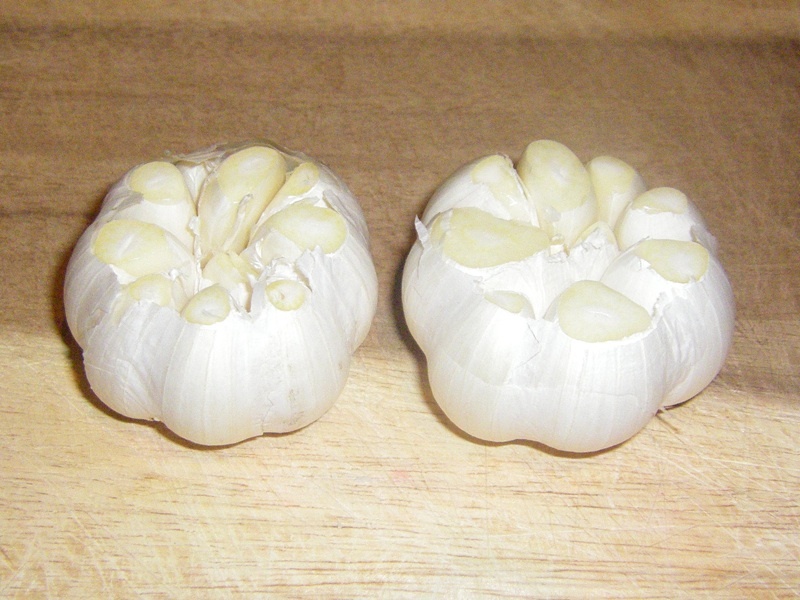 Try substituting roasted garlic in dishes you normally use regular garlic in. What do you enjoy your roasted garlic with? Jump up.